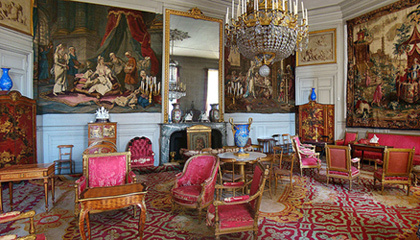 Built as a royal palace for Louis XV and restored by Napoleon, Compiègne was one of three seats of royal government, along with Versailles and Fontainebleau. The palace has 1337 rooms (including 105 guest apartments), eight courtyards and two parks. 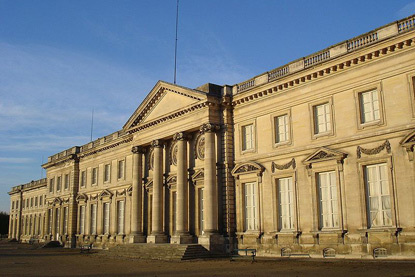 Compiègne was the favourite residence of Napoleon III, who established his court here from 1853 to 1855. From 1856, the emperor threw one-month-long hunting parties in autumn that attracted hundreds of aristocrats from all over Europe. The star attraction are the Imperial Apartments (Grands Appartements) featuring the emperor and empress' bedrooms, as well as a ballroom lit by 15 chandeliers. 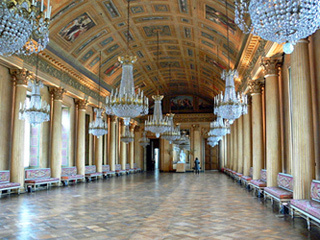 In addition to the lavish state apartments from the 18th and 19th centuries, the palace hosts the Museum of the Second Empire (retracing the life of Napoleon III), the Empress Museum (dedicated to Empress Eugénie) and the National Car Museum (collection of old cars and motorcycles, including pre-combustion automobiles). The palace is open every day except Tuesdays from 10:00 am to 6:00 pm (last entry 5:15 pm). From 12:30 pm to 1:30 pm the apartments of the Emperor and Empress are only accessible by (free) guided tours, starting at 12:15 pm. Annual closing days are 1st January, 1st May and 25th December. Admission to the palace's permanent collections, including an audioguide, is 6.5 € for adults and 4.5 € for concessions. Admission is free under 26 years old, but 1 € will be charged for an audioguide. Temporary exhibitions cost an extra 2 € per person. Access to the park is free.